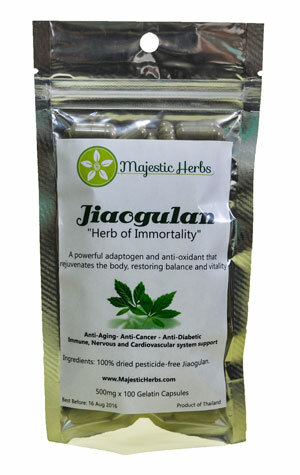 A 1.5 – 2 month supply of Jiaogulan (Gynostemm Pentaphillum) for a family of four. 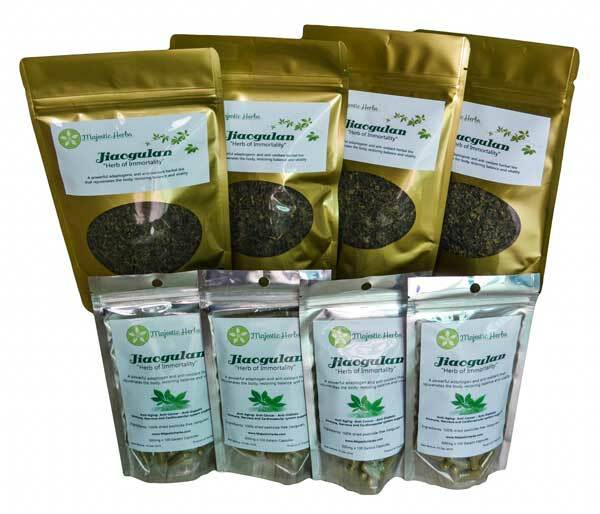 Please note that since we ship from Thailand, it can take up to 2-3 weeks to receive your order. 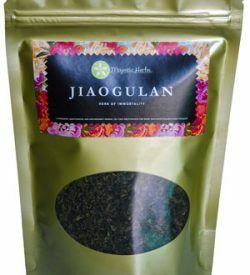 Organic, fair trade, caffeine-free, premium grade high mountain Jiaogulan (Gynostemma Pentaphyllum) loose leaf tea pack - 100g (3.5oz). 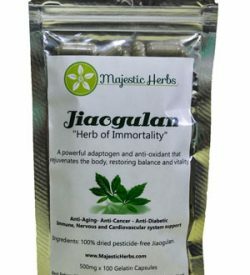 Organic, premium grade, caffeine-free, high mountain dried and crushed Jiaogulan (Gynostemma Pentaphyllum) leaf capsules - 100 x 500mg. 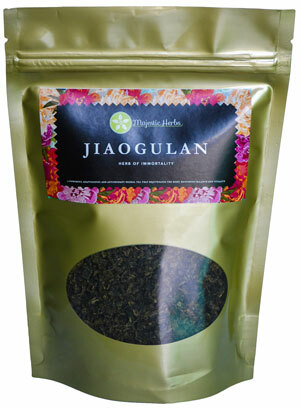 Great value and excellent quality Jiaogulan. Will order again.